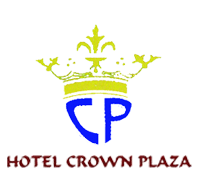 Finding standard room in Nepal and with all the logistics that you require to make your stay pleasant is impossible. 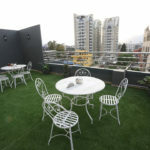 Keeping the demand of the time as the priority we offer you one of the best accommodation within your reach. This is the most affordable room plan in our hotel. Our standard rooms are 2 in categories but one of its kind. 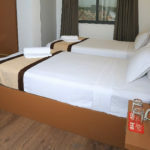 The first category of standard room is big enough home one twin bed, a spacious closet to store clothes and luggage, a tea table and a hand made bamboo chair. The room has an attached bathroom with sink and a 26 inch led TV with cable. The second category of standard room is more spacious than the first but includes all the mentioned facilities. The beds in our standard rooms are queen size, wooden bed. 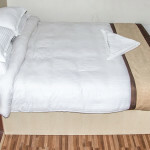 The mattresses are extra soft handmade spring mattress and the bed sheets as well as pillow covers are hand made. The floors have parketing and the bathroom is tiled. Every bit of furniture and decoration in the room is handpicked and handmade. Adding up, our hotel is equipped with heavy duty and environment friendly diesel generator. The generator helps us to light up the standard rooms and television set 24/7. We have UV filtered and processed water running through the entire hotel. The water is bacteria free and hygienic and used for washing and cleaning purpose. 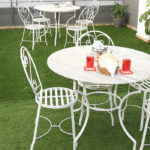 Furthermore we offer free room service, have in house restaurant facility and offer 24 hour hot and cold water.